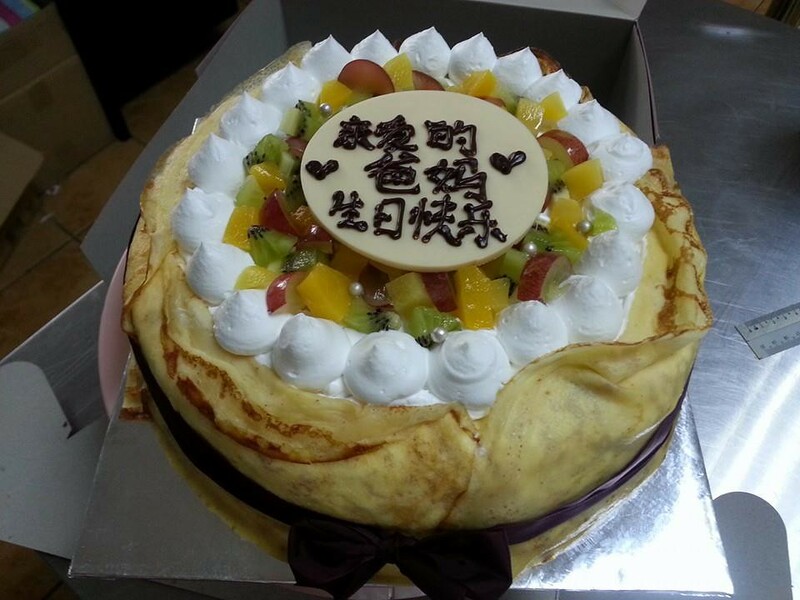 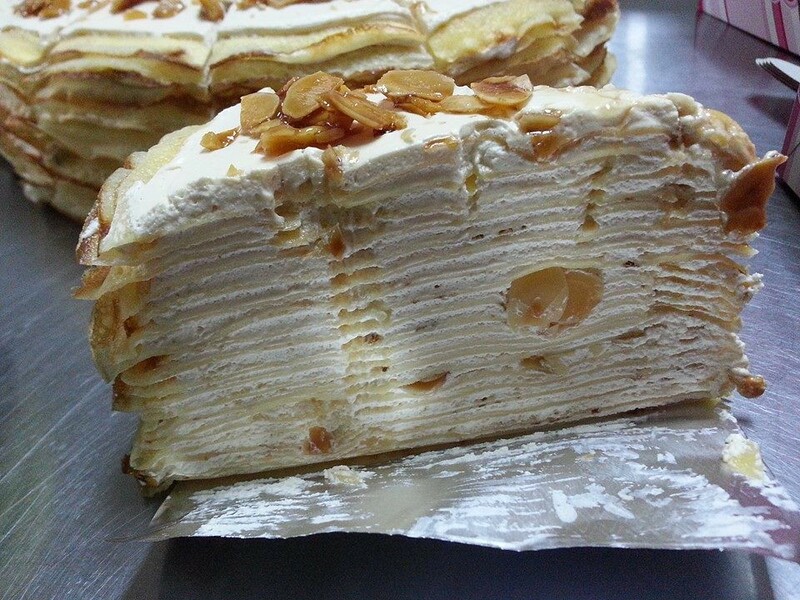 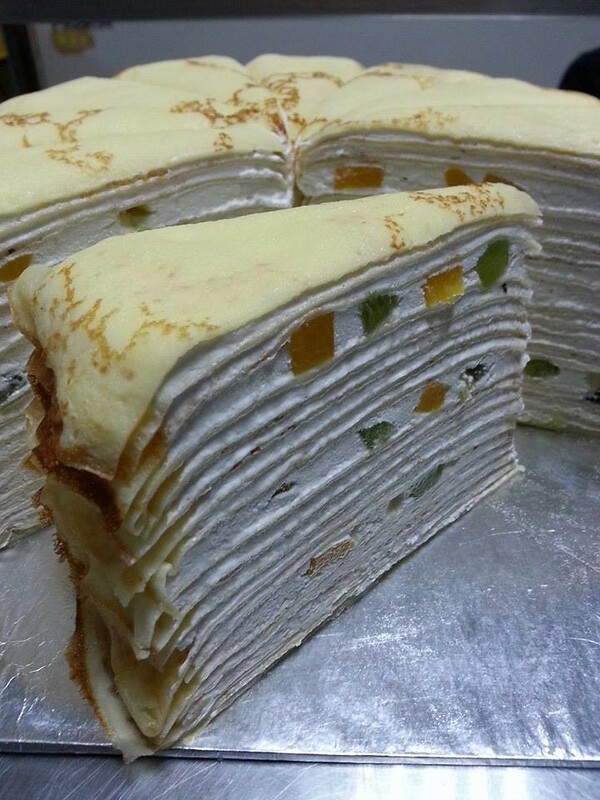 Mille Crêpes Cake is a lovely classic French cake made up of paper thin crepes. 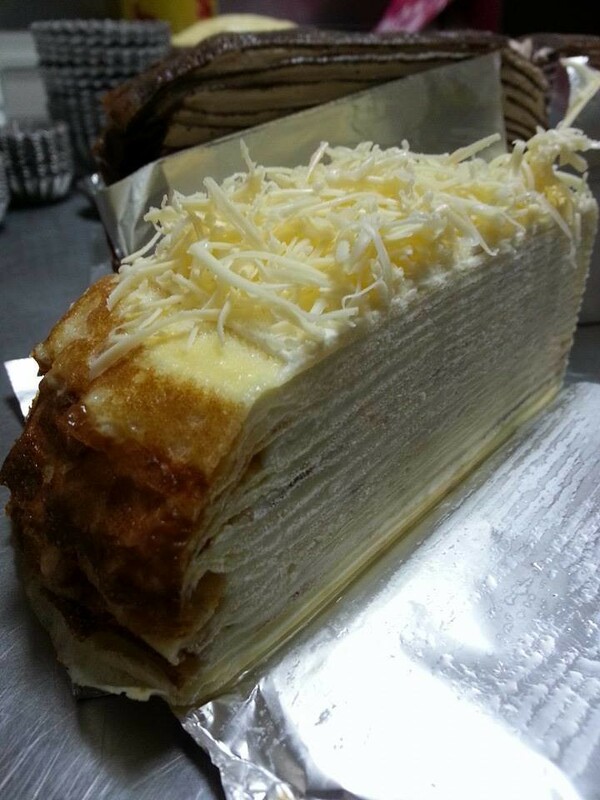 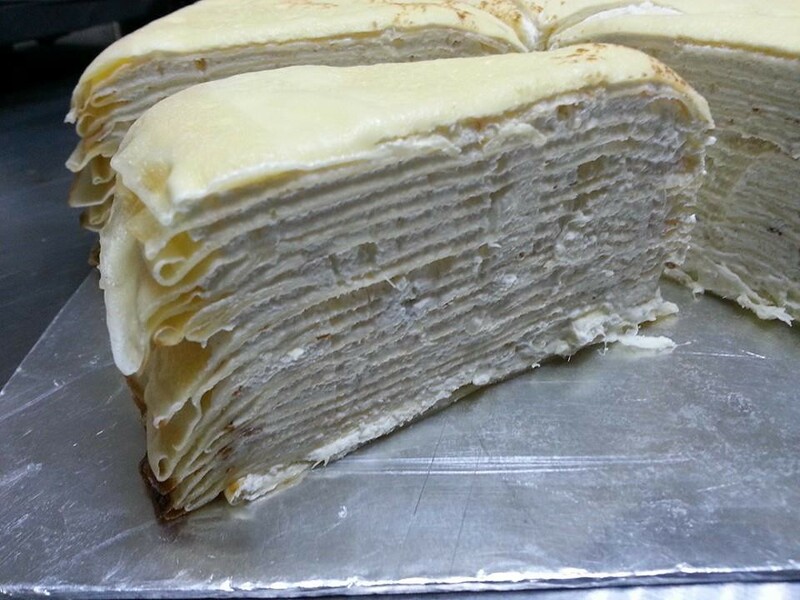 There are normally about 20 layers of crepe, each separated by a brush of French pastry cream. 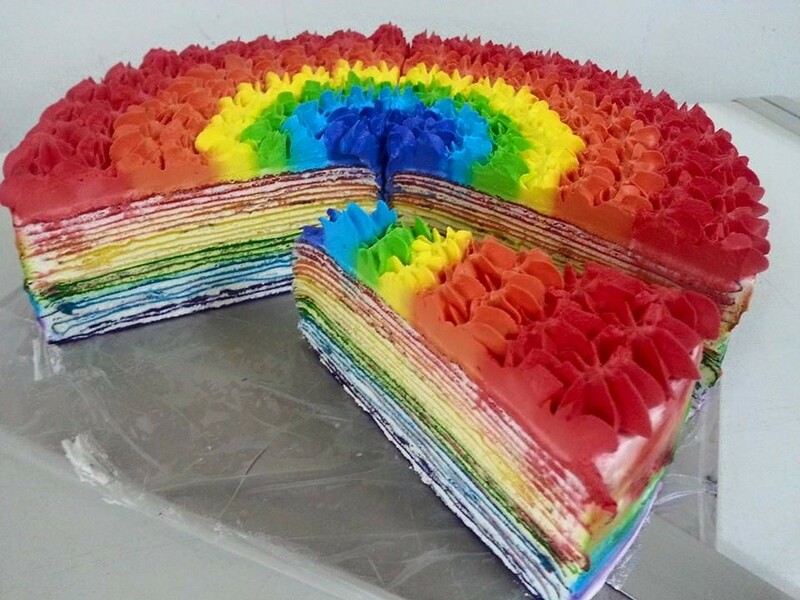 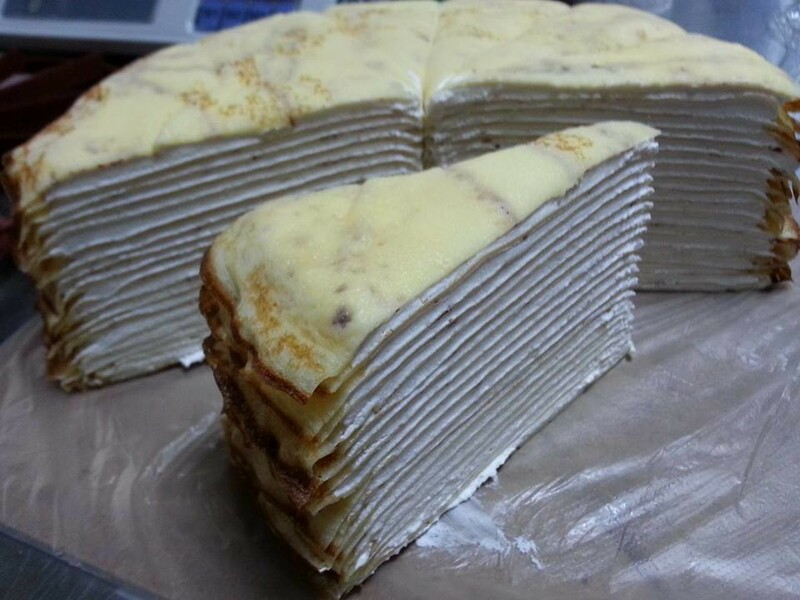 In French, the word mille carries the meaning of ‘a thousand’ to signify the numerous layers of crepe in the cake. 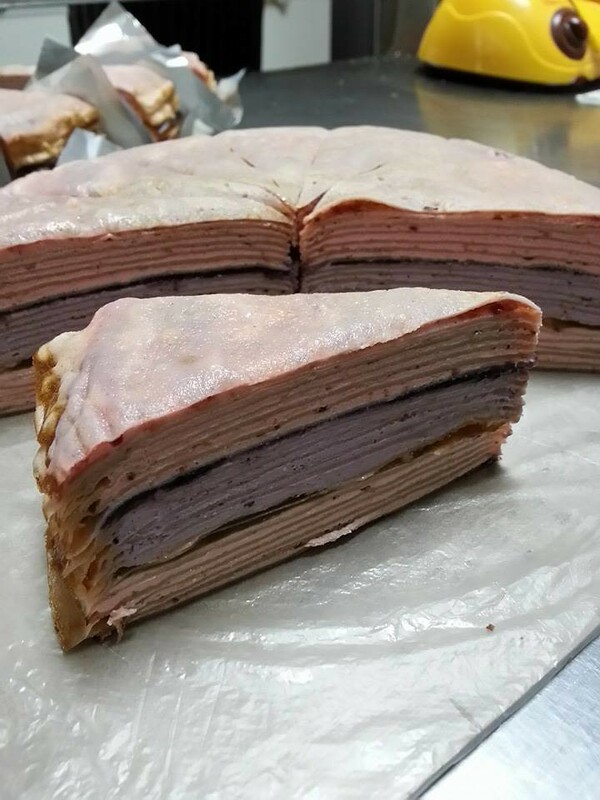 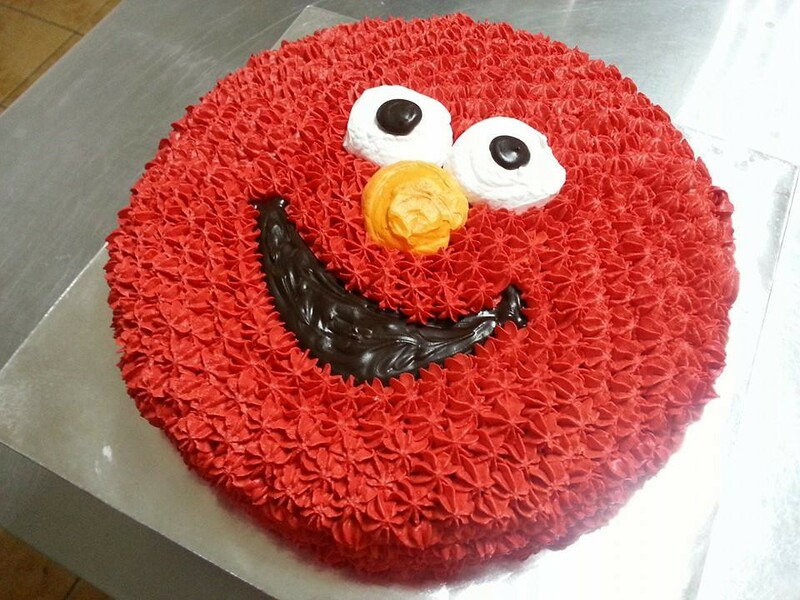 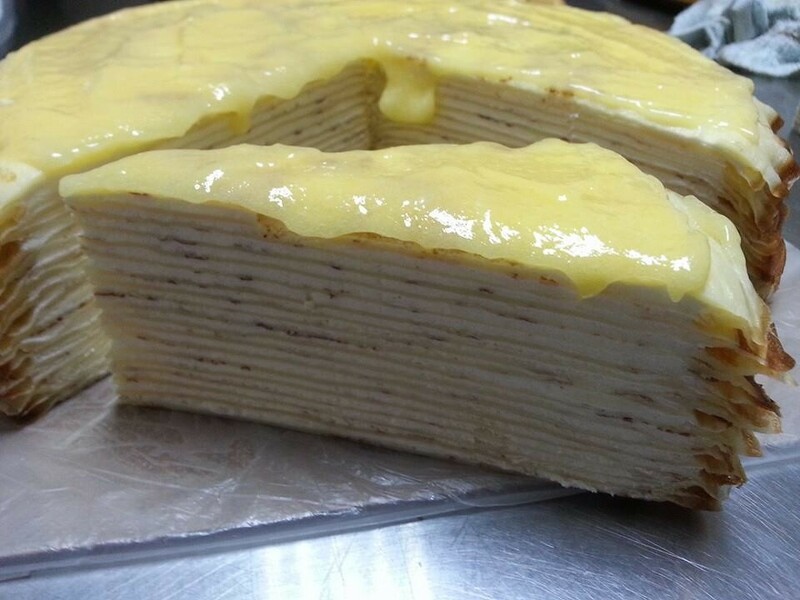 Nowadays, people modify the traditional recipe and instead insert different food in between the layers. 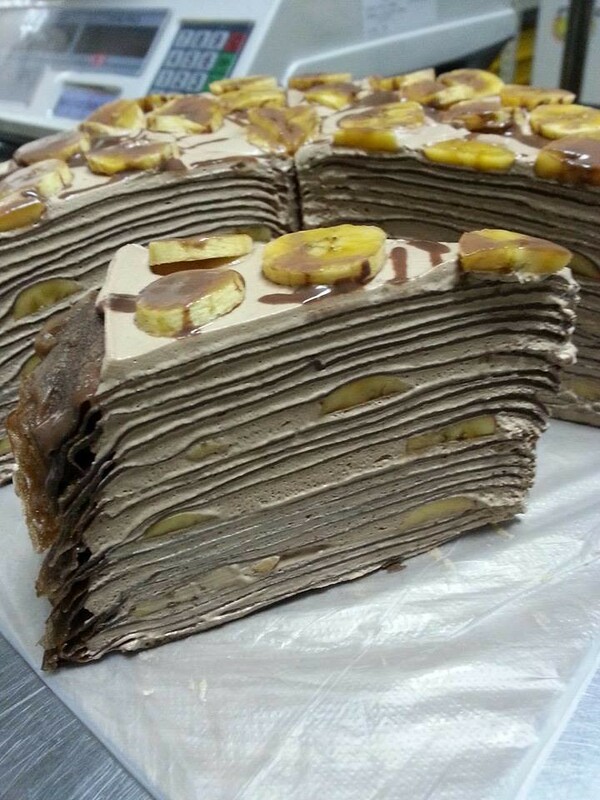 There are tons of varieties such as Nutella, lemon curd and peanut butter. 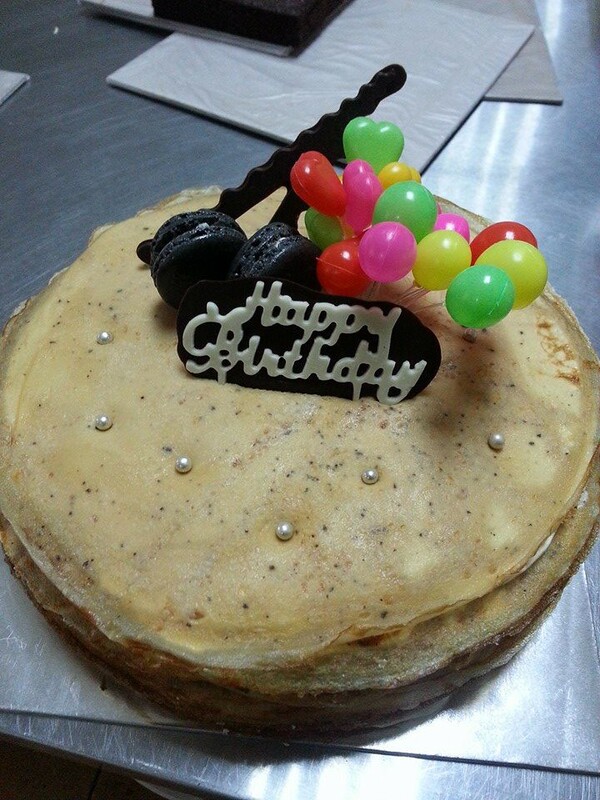 At Cakes Corner, we painstakingly ensure that the crepes we serve are of top notch quality. 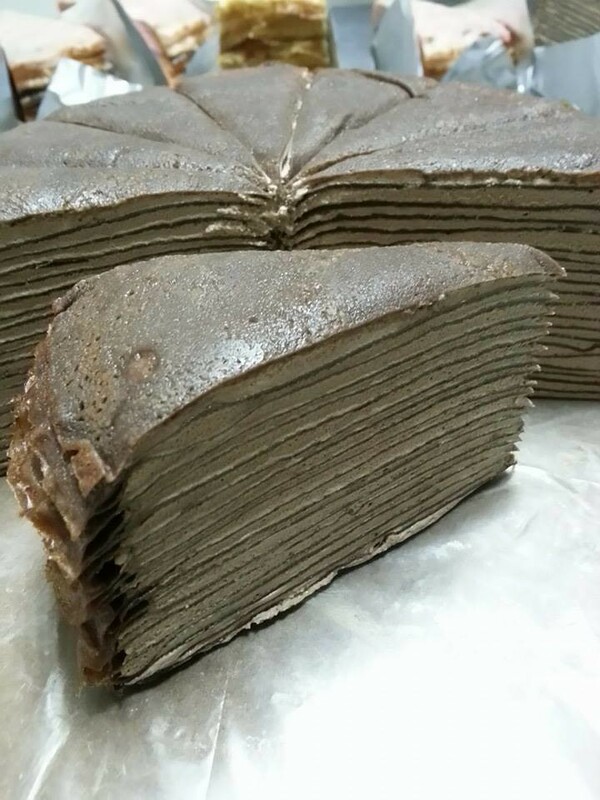 Preparing these require the right technique and temperature. 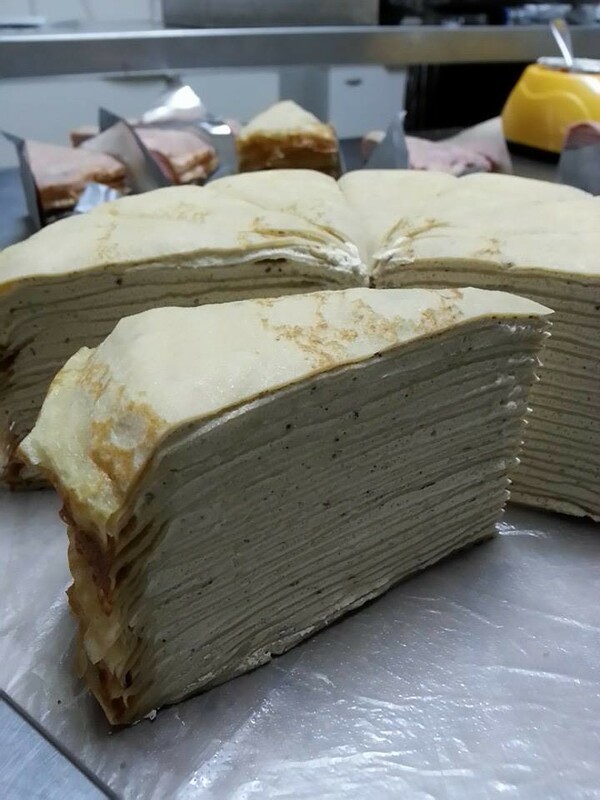 Although it is very time consuming, we take extra measures to make crepes of similar sizes and thickness. 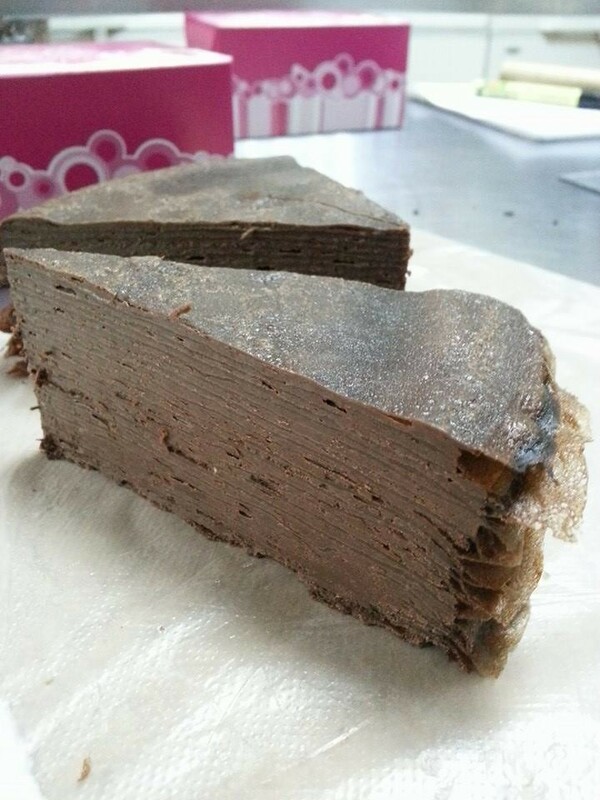 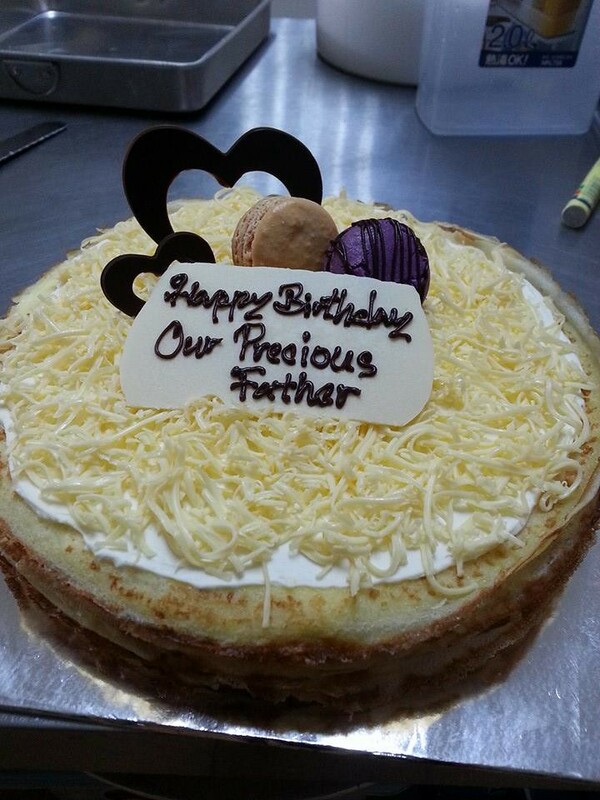 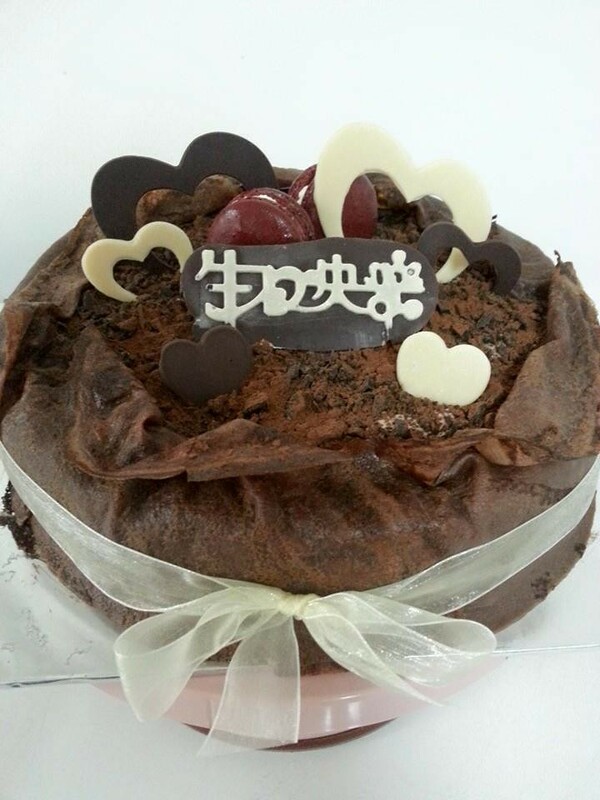 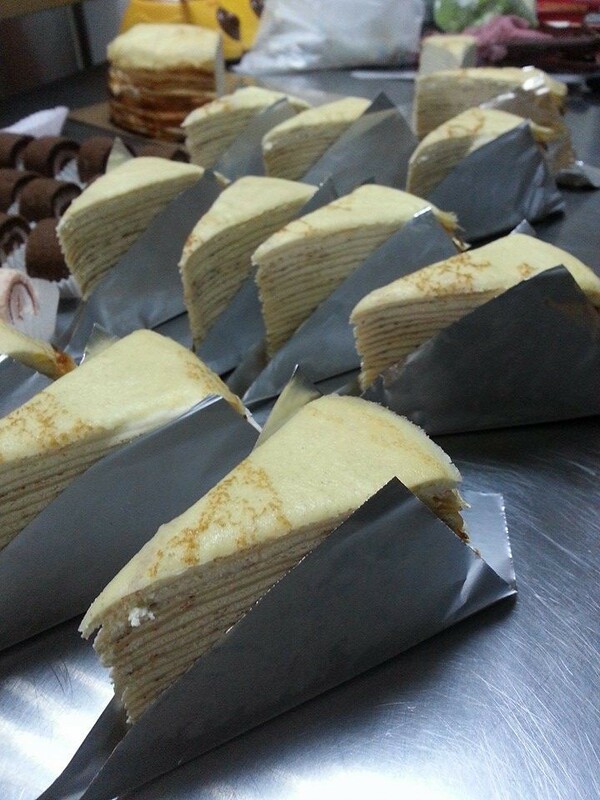 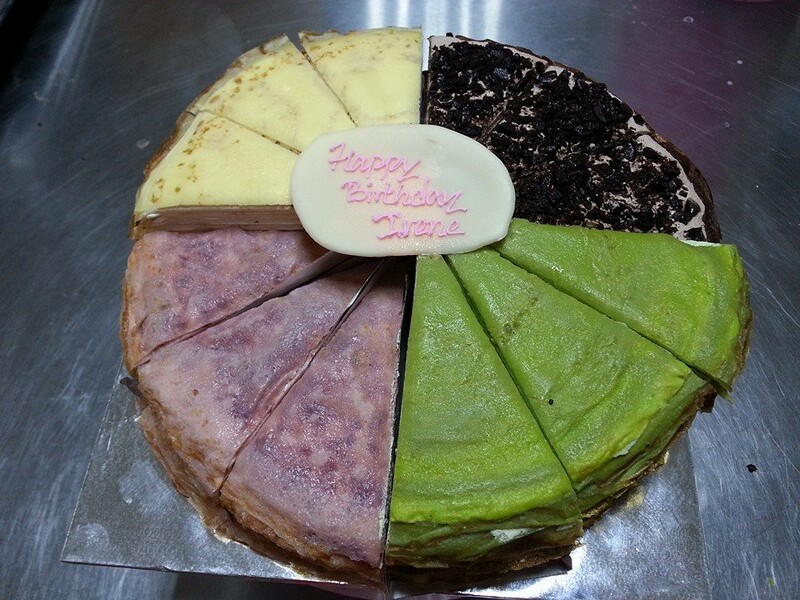 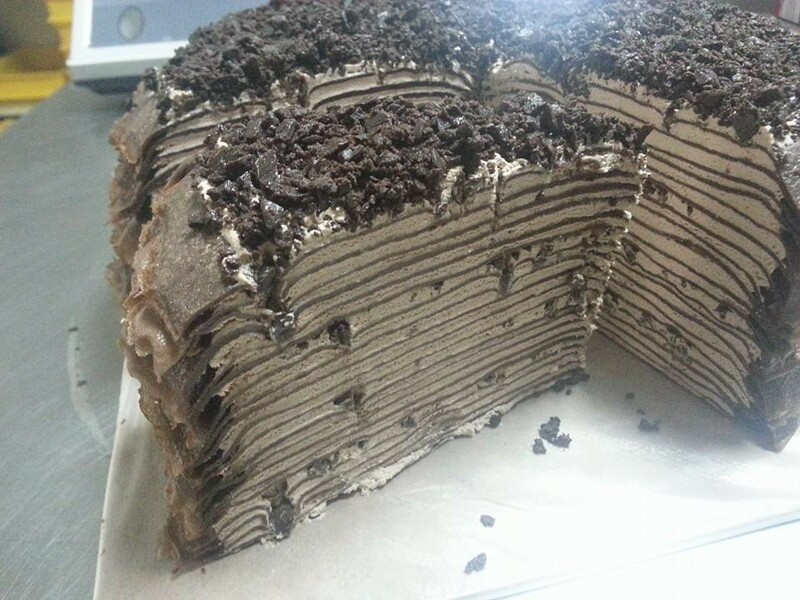 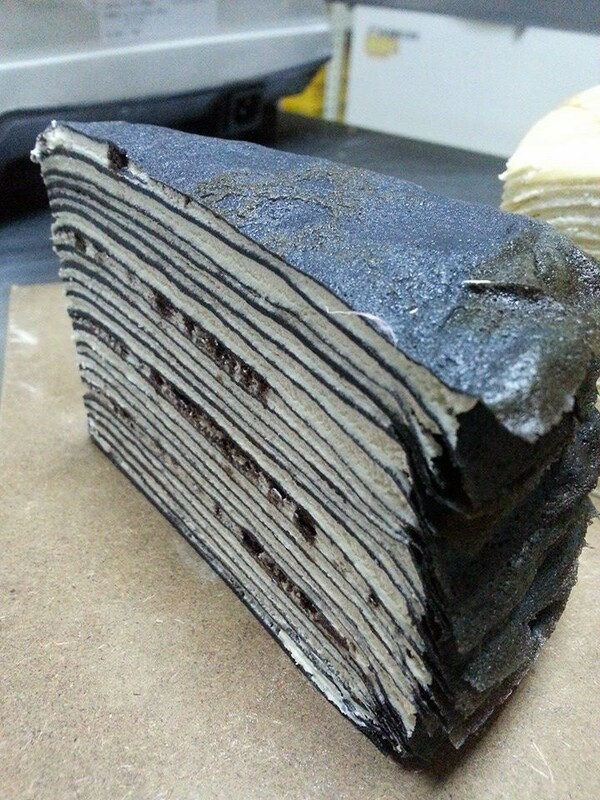 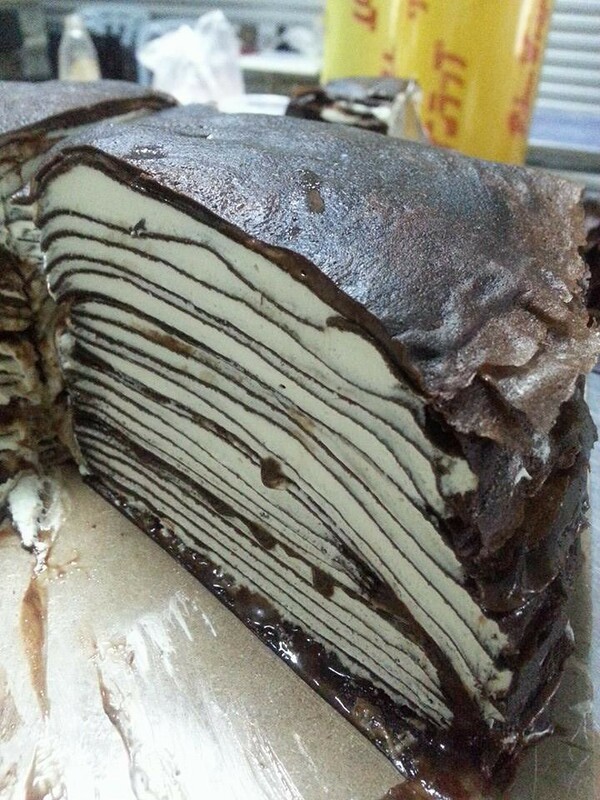 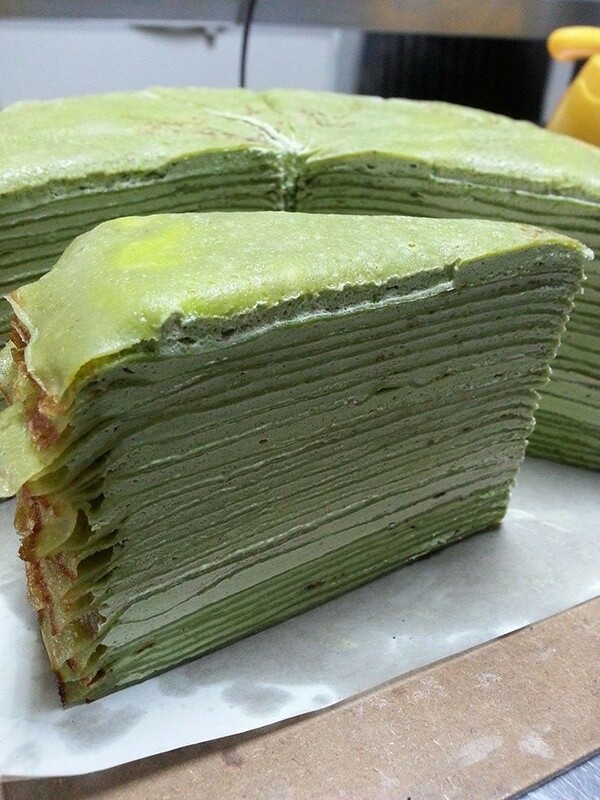 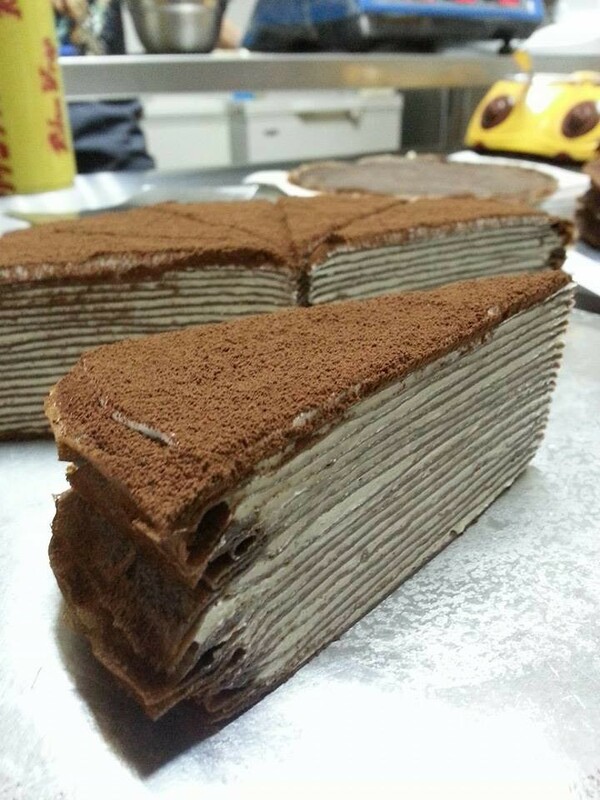 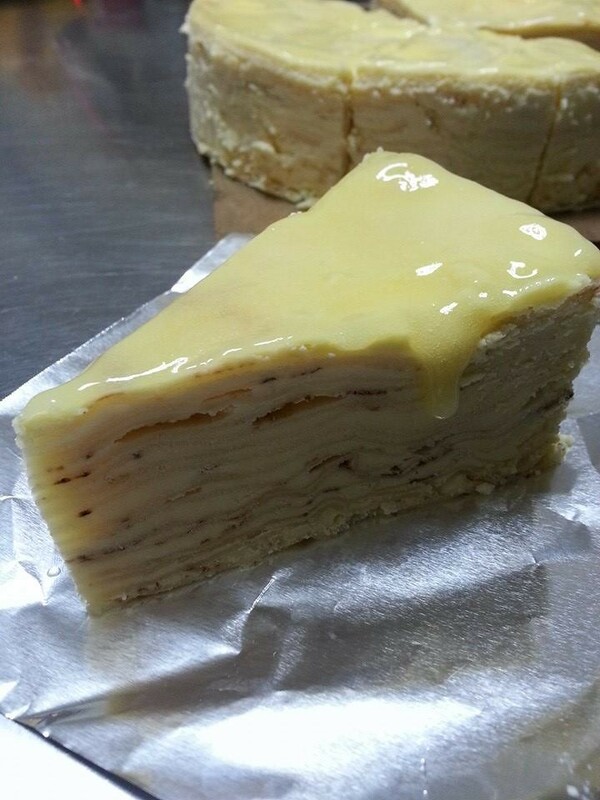 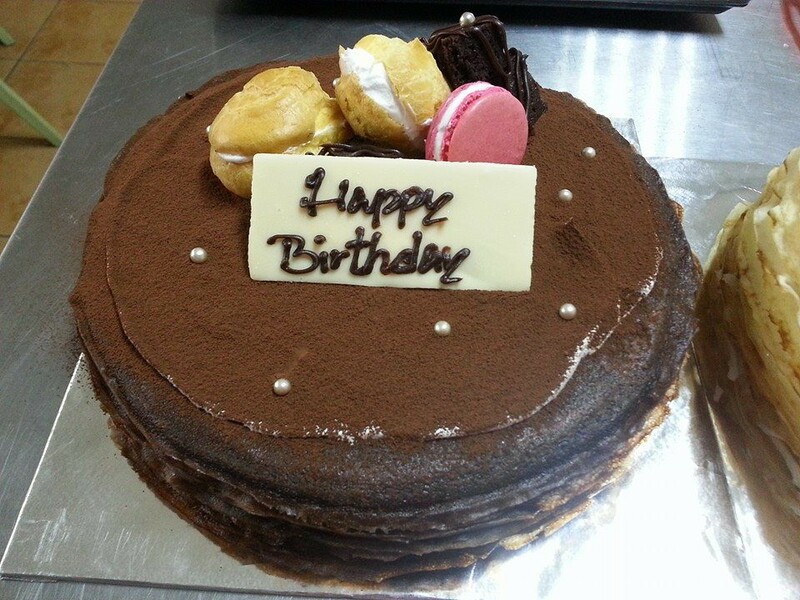 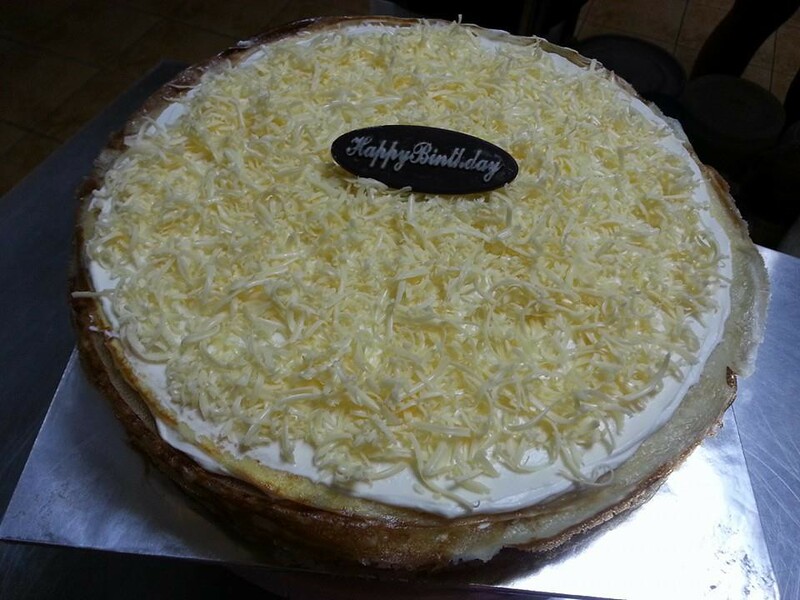 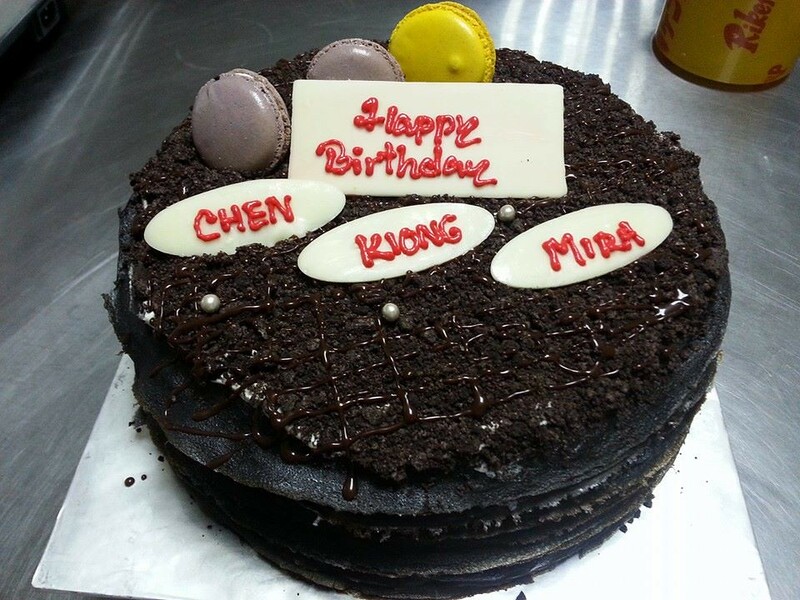 Each 20 layers of crepe is individually made to achieve our goal of providing you the perfect Mille Crêpes Cake. 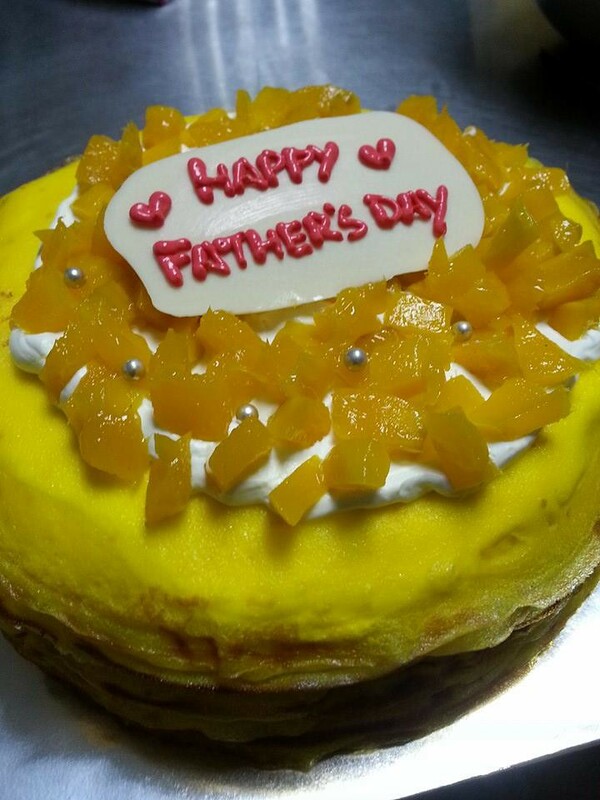 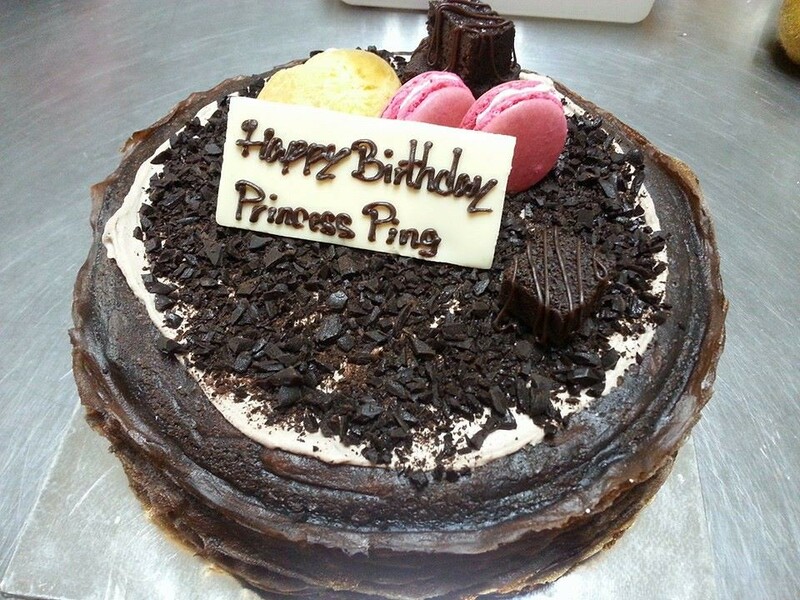 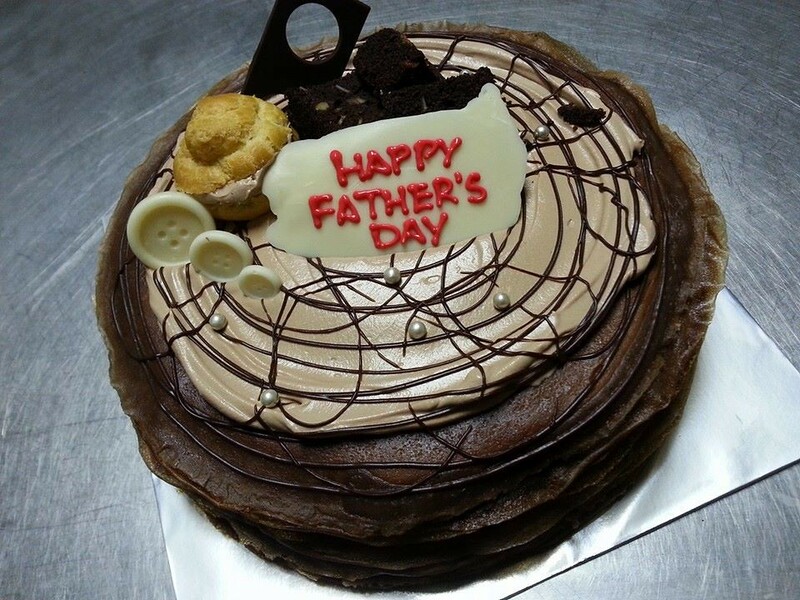 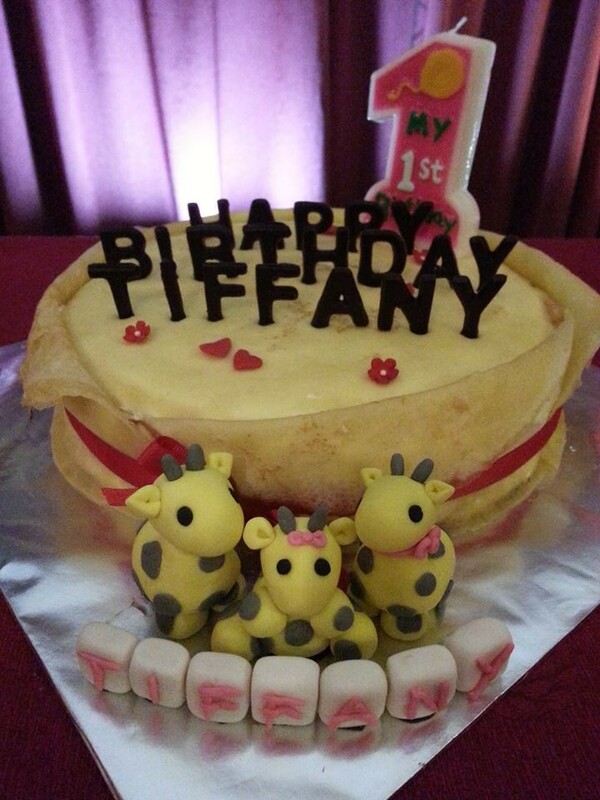 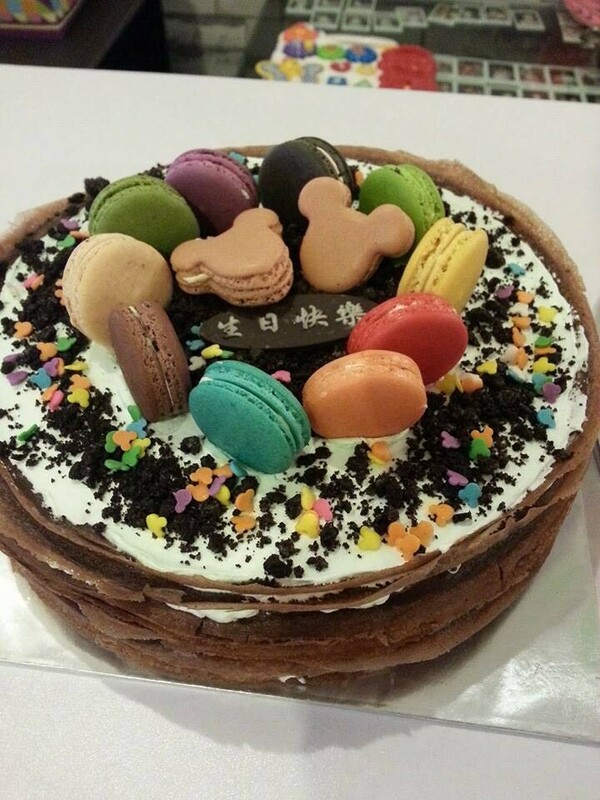 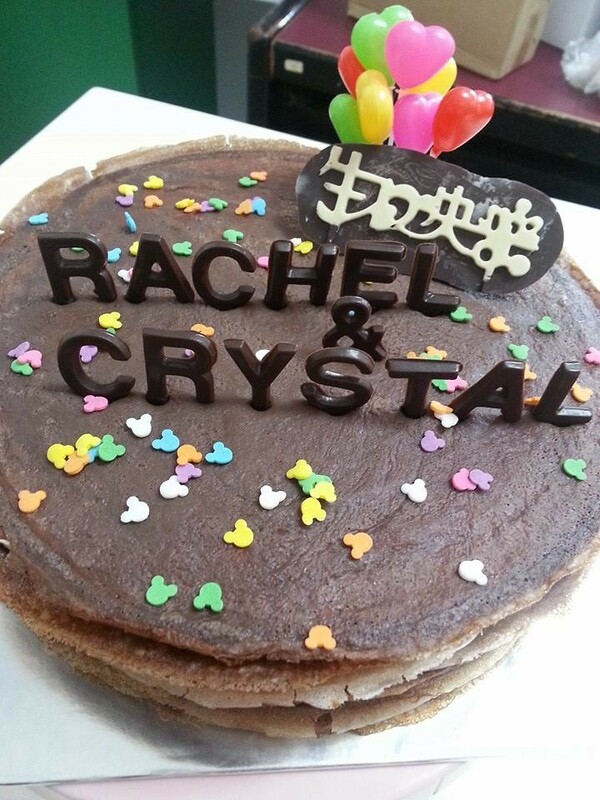 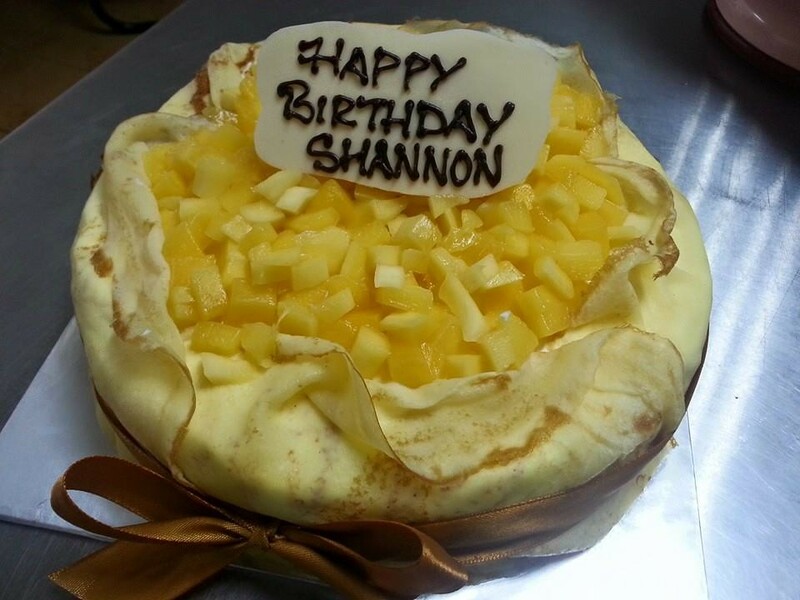 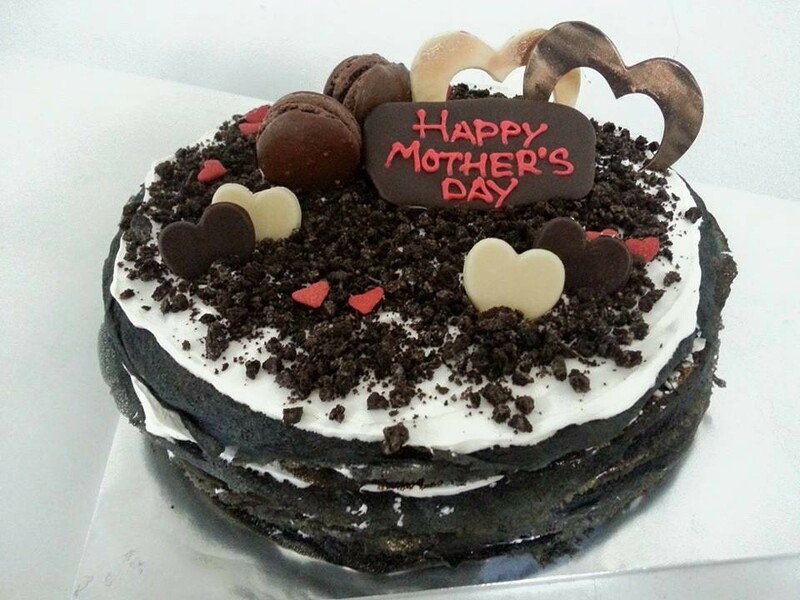 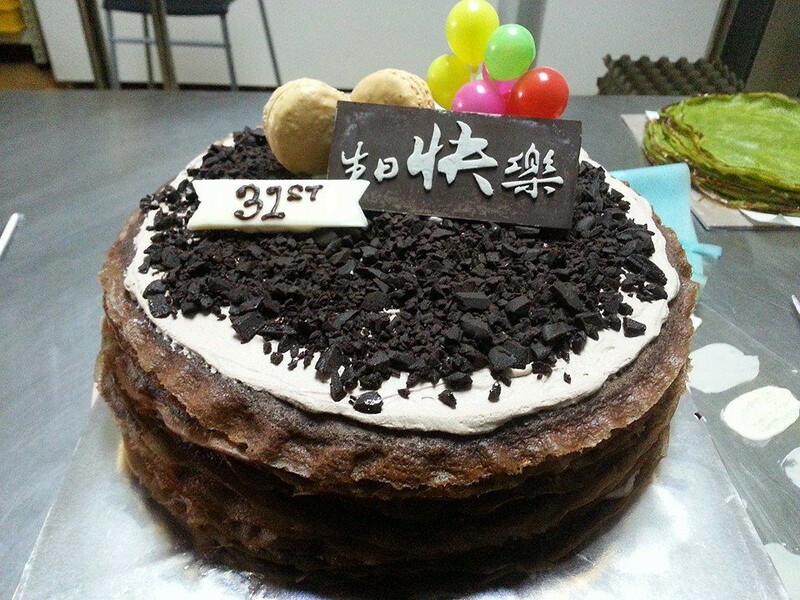 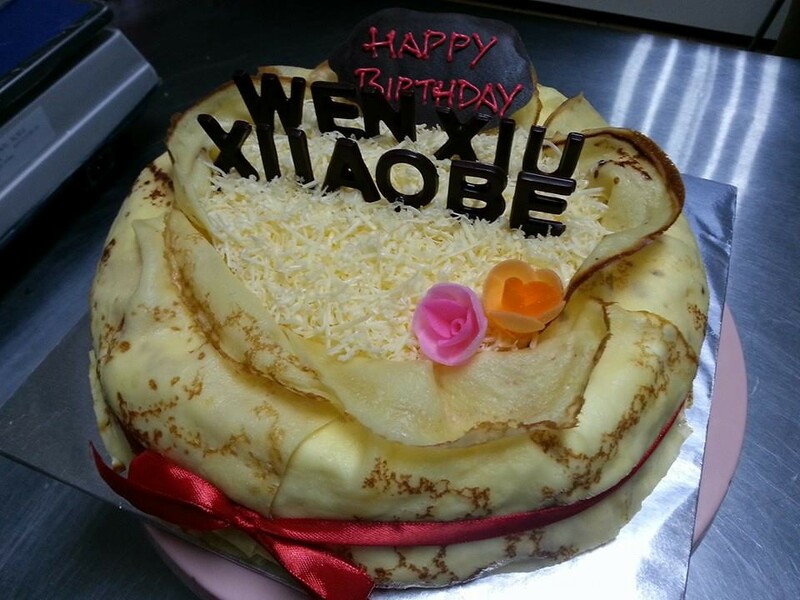 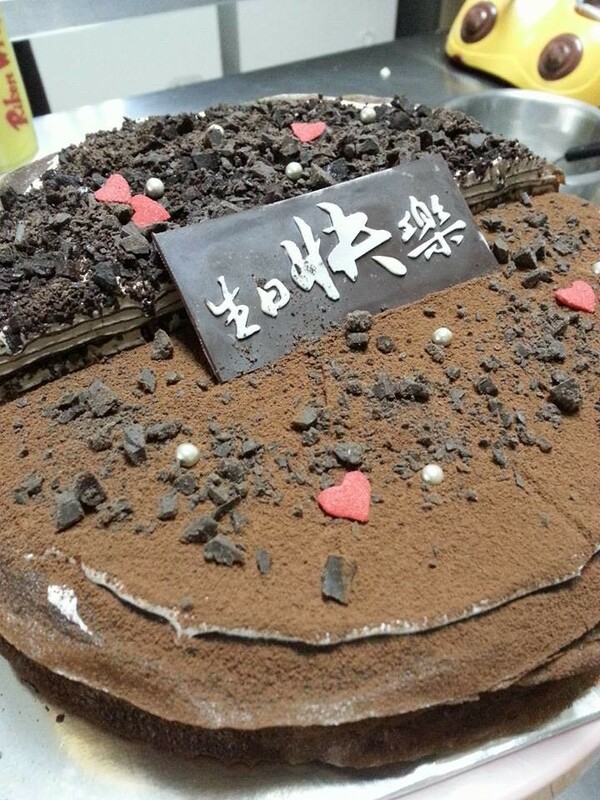 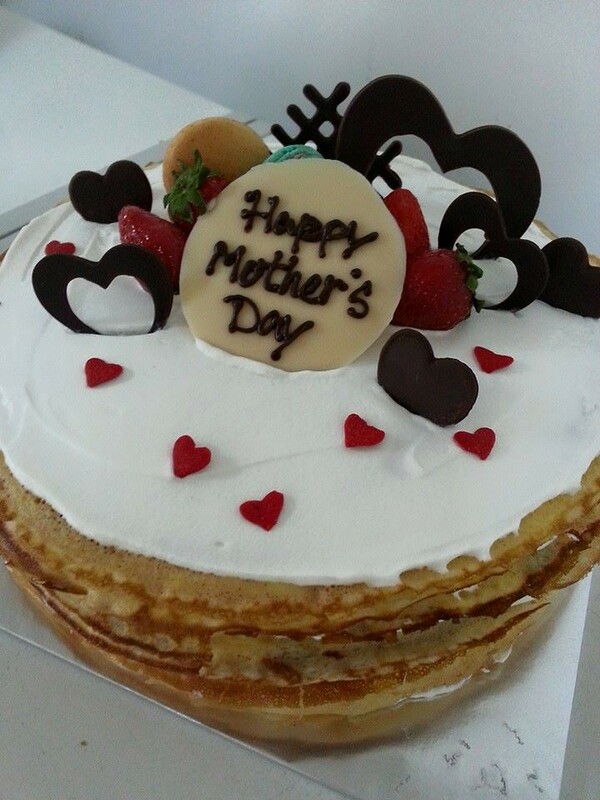 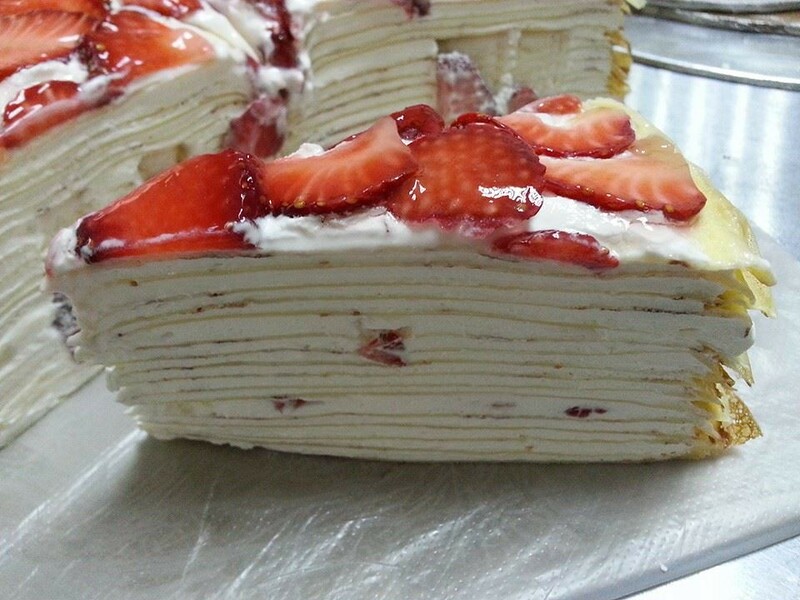 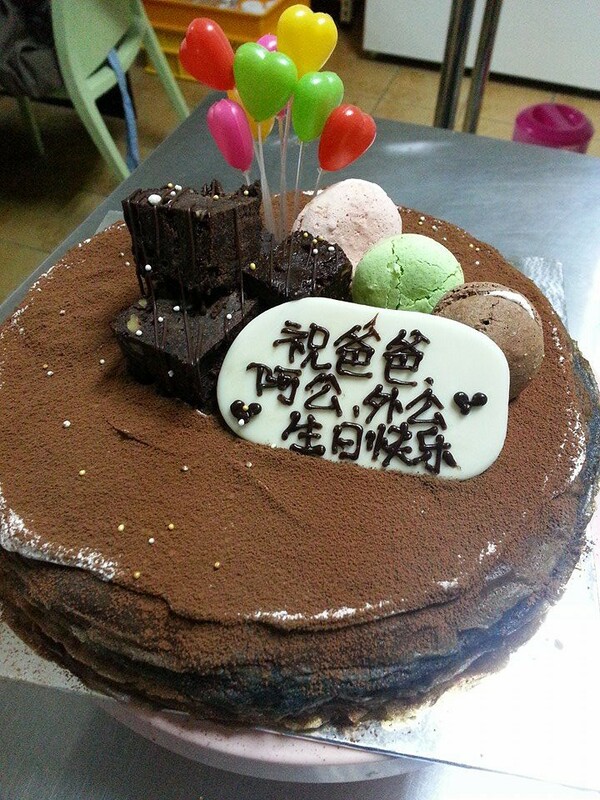 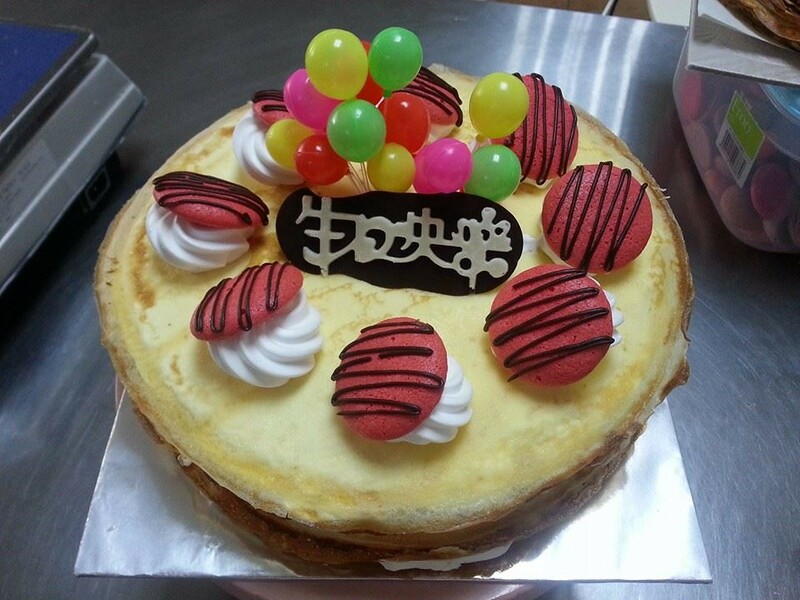 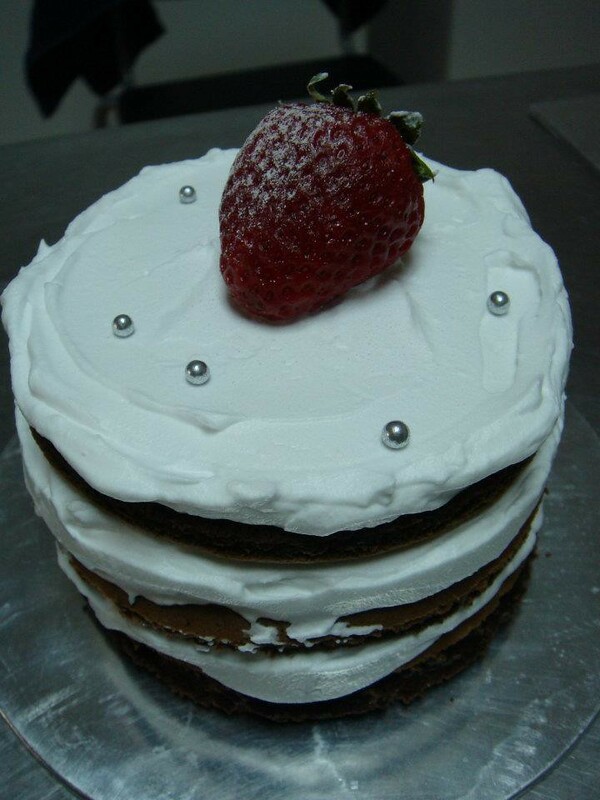 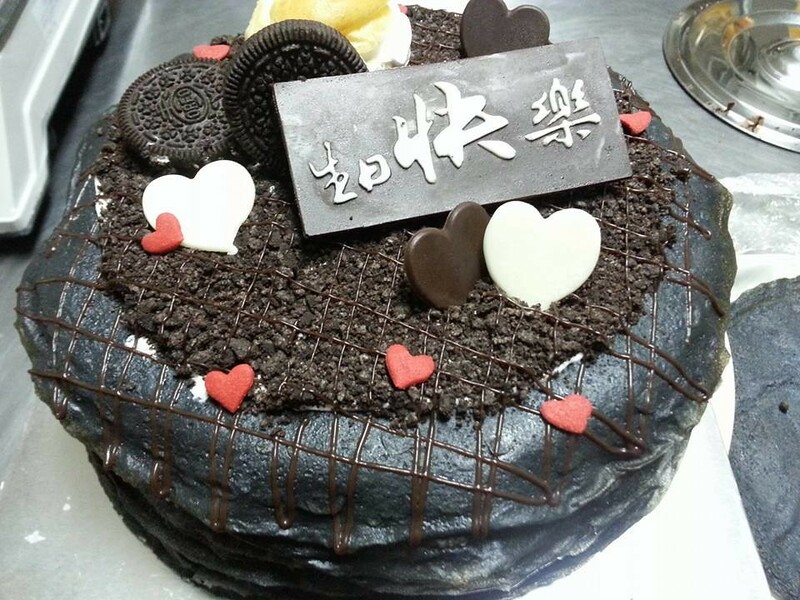 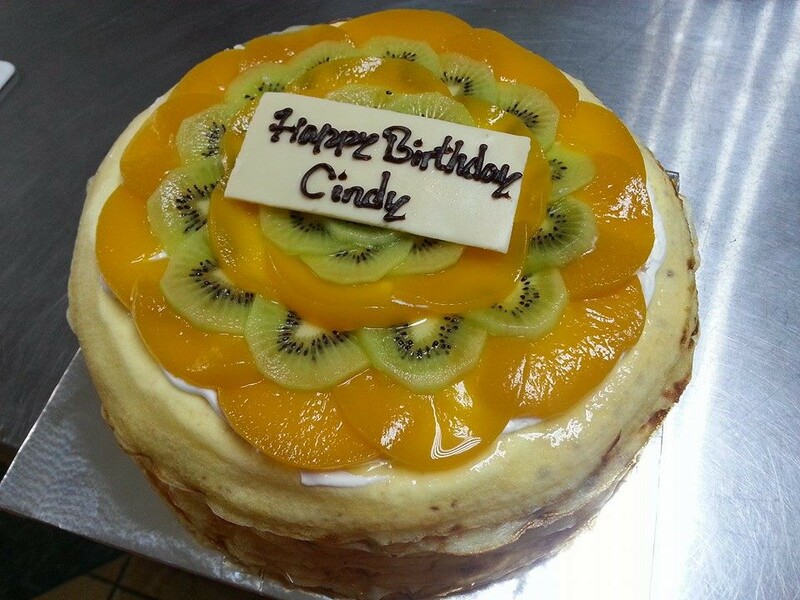 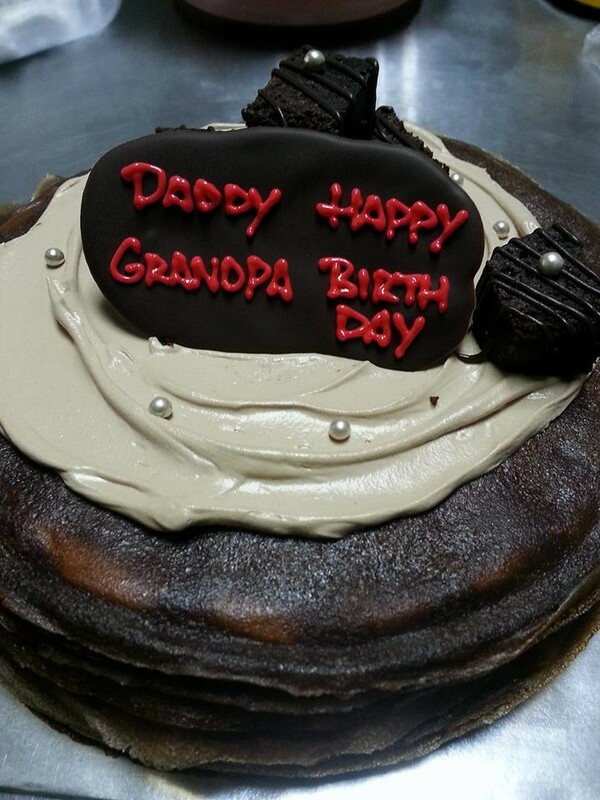 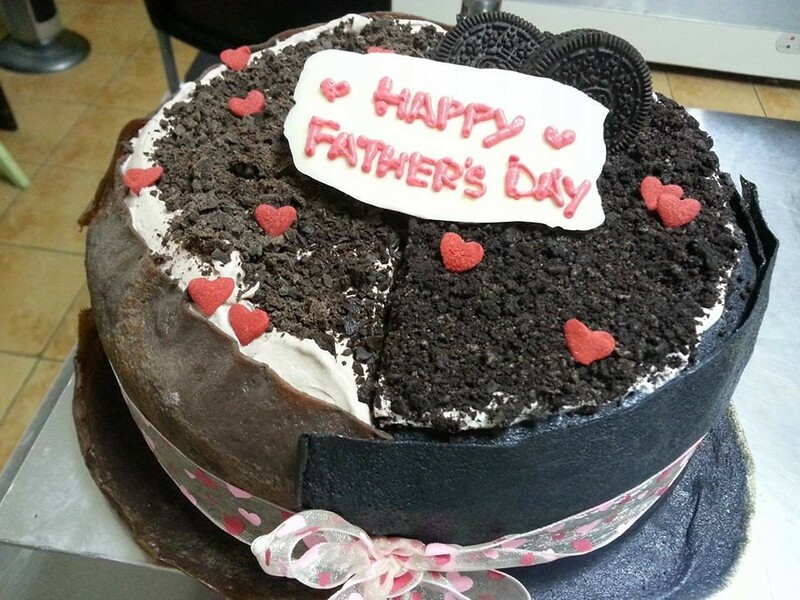 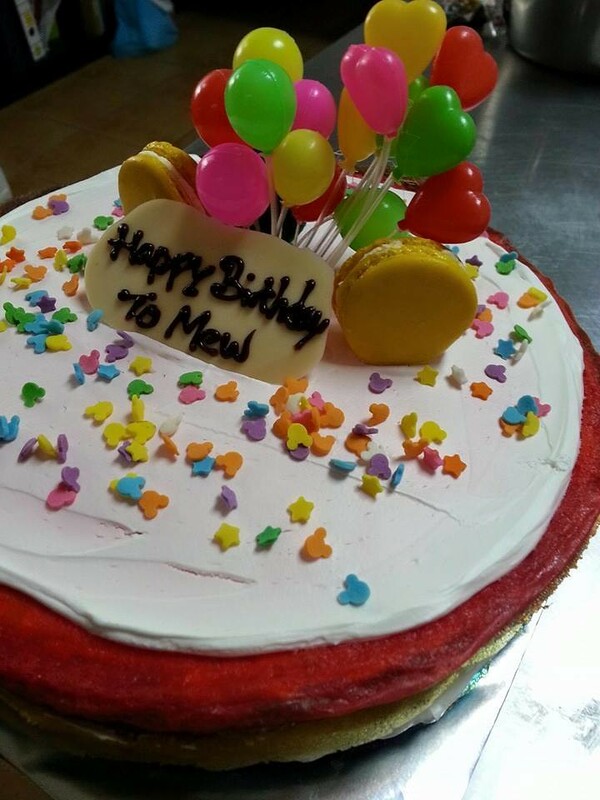 Here’s where things get interesting, we offer you the opportunity to have your own totally customizable Crepe Cake. 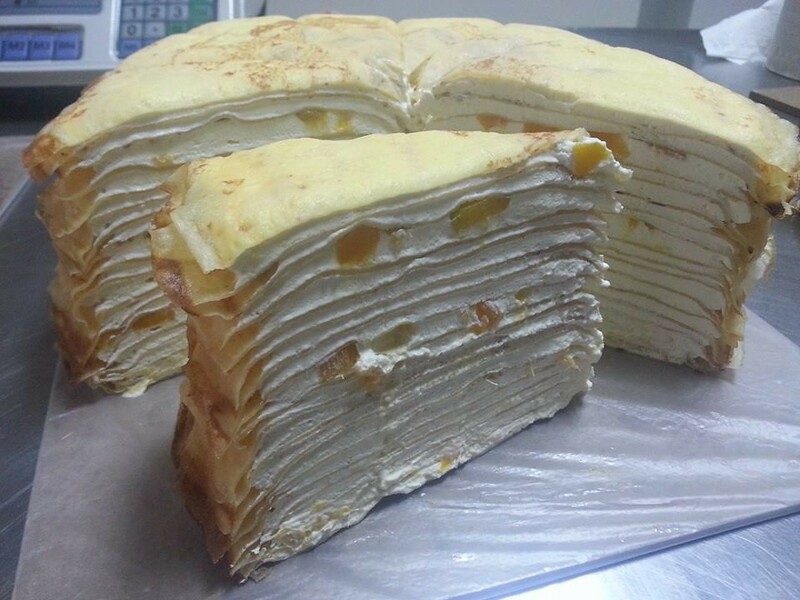 Select the toppings, food between the layers, type of crepe and even colour of the Crepe Cake. 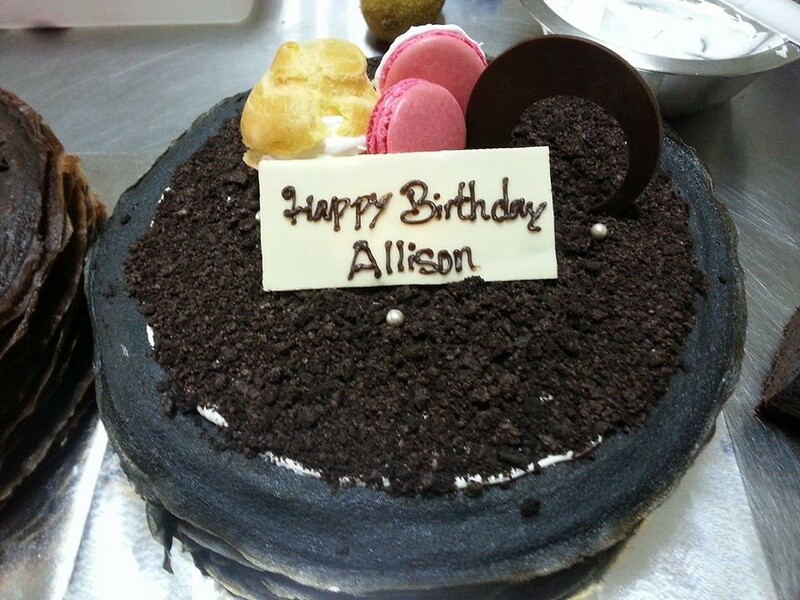 We’ve had tons of orders for the cake, such as Charcoal Oreo and Dark Chocolate Millie Crepe, Rainbow Crepe and Chocolate Macaroons Crepe. 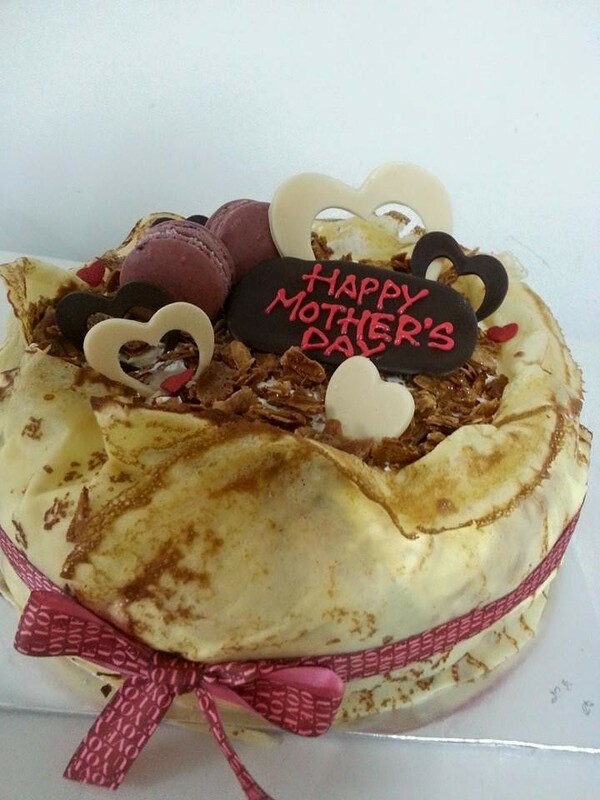 Whatever you wish to add on, we’ll do it no matter how crazy it sounds 😀 So let your creativity flow and express your individuality through our Crepe Cake! 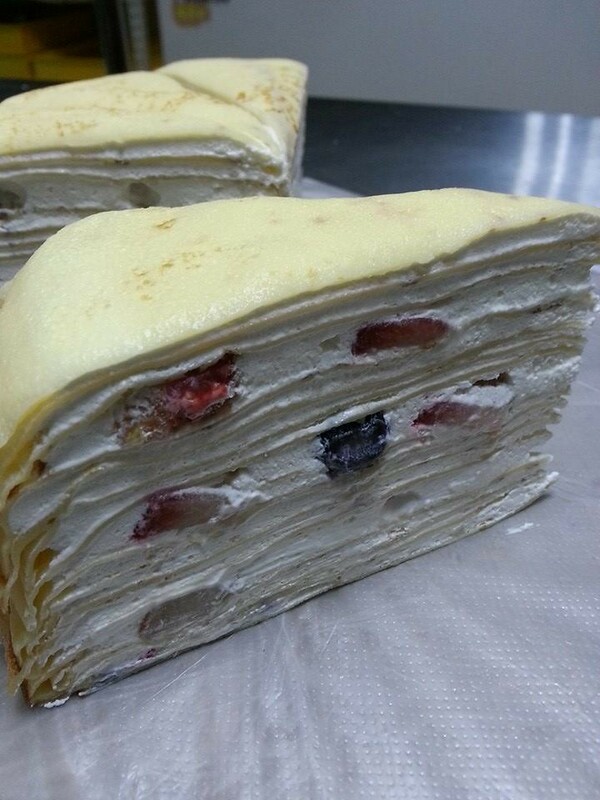 mix berry cheese millie crepe - bottom with strawberry cheese, center with blueberry cheese n top with raspberry cheese.